Posted January 2, 2016 by Amy Archer-Williams & filed under Episodes. A new episode of Sherlock is a rare treasure that only emerges once every blue moon and causes by its very existence a feverish excitement among its fanbase. Two years on from the third season, we have a one-off special to tide us over. ‘The Abominable Bride’ carries off from where we left Sherlock in Season 3’s finale ‘His Last Vow’, having just heard that Moriarty is apparently back from the dead. High on a potent cocktail of drugs, Sherlock retreats into his Mind Palace in an attempt to solve a similar case from a century gone by; the case of Emelia Ricoletti, a bride who shot herself but somehow rose again. First things first. 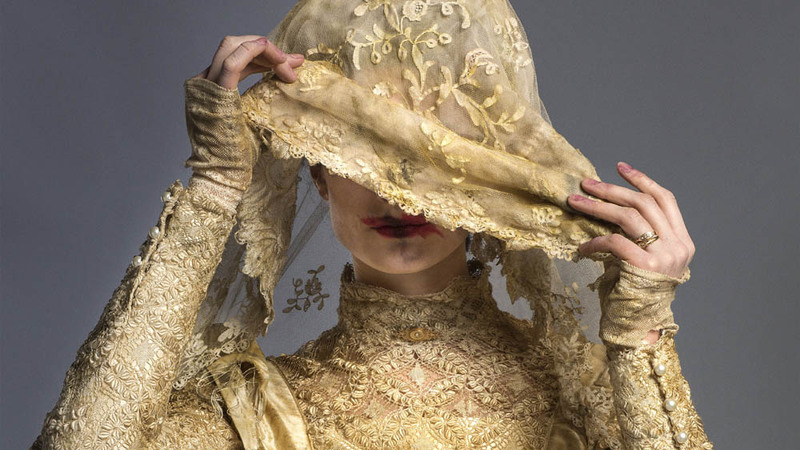 ‘The Abominable Bride’ is, for the most part, hugely enjoyable. It’s a cheeky, intriguing murder mystery with characters we know and love in top hats and tails. It’s stuffed full of suspense, drama and humour; up to a certain point, it works, and works well. In terms of humour, the relationship between Sherlock and John has always been a goldmine for comedy, and ‘The Abominable Bride’ carries on this tradition with vigour and glee. ‘Pass me your revolver, I have a sudden need to use it,’ Holmes responds in disgust to Watson’s attempts to probe into his personal life. Cumberbatch’s delivery is pitch perfect, and it’s one of many snigger-worthy moments in the special. The ‘will he/won’t he’ possibility of Andrew Scott’s Jim Moriarty making an appearance in ‘The Abominable Bride’ has been a source of speculation for months now. Turns out he does indeed, and Scott continues to be the show’s biggest scene stealer. Personally, the greatest gift the special provides is the opportunity to see Jim Moriarty’s reaction upon being referred to as ‘shortarse’ by Sherlock Holmes. It’s nothing short (ha) of beautiful. The case of the bride is spooky enough to make the hairs on the back of your neck stand on the end. Her lilting, creepy song is genuinely unnerving, and I will hold my hands up and admit that I screamed like a banshee when she appeared behind Watson as he guarded the broken window. It harked back to the suspense and fear factor of Jeremy Brett’s ‘The Hound of the Baskervilles’. The links into the show as it is set in the modern times were enjoyable but I did wonder how they came across to the casual viewer, who perhaps hasn’t seen the previous season – or indeed, simply watched them when they came out anywhere between two and six years ago. 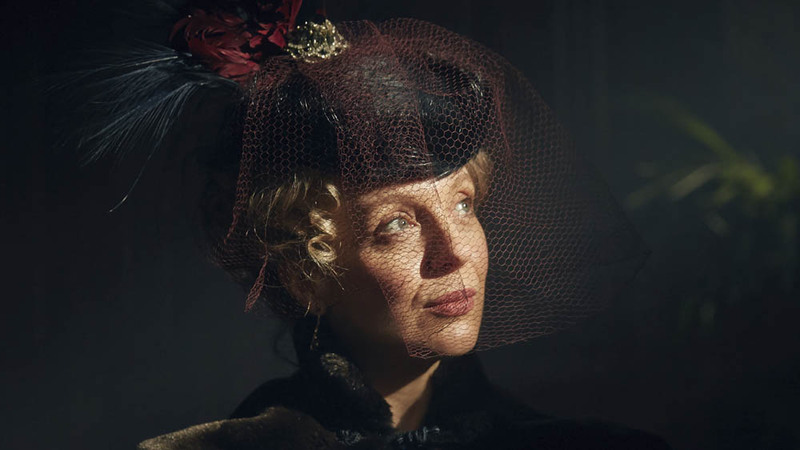 ‘The Abominable Bride’ was greatly enjoyable as someone who has made an effort to keep up with Sherlock, but I imagine that much of it would be lost on people who haven’t followed the series intently. That brings us to the main criticism of the special; the final 20 minutes or so see the plot shoot away like a runaway train and begin to career all over the place as the episode dips between reality and Sherlock’s Mind Palace. It gets confusing. Sherlock spends much of the episode proving how Emelia Ricoletti managed to fake her death via a gunshot wound to her head, and yet this, for reasons I still can’t quite fathom, seems to prove that Moriarty is definitely dead. Cue masses of speculation for Season 4. The viewing figures will no doubt be great, but I’m not so keen on an hour and half episode leaving me, predominantly, with a sense of bewilderment. Having said that, ‘The Abominable Bride’ was engaging, thrilling and fun. It just needed someone to pull the brakes every now and then and stop it wandering into what felt a little too much like Doctor Who territory at times. Despite that, the cast make the show; (deerstalker) hats off to them, because they were, as ever, a joy to watch. Aired at 9pm on Friday 1 January 2016 on BBC One. > Buy ‘The Abominable Bride’ on DVD on Amazon. > Buy the complete Season 1-3 boxset on Amazon. > Read more from Amy Archer-Williams on her blog. More than anything I questioned the representation of the feminists. They were shown to be getting revenge on their husbands for their ill treatment more than for political purposes. And I didn’t understand why they’d dress the suffragettes, a good cause, in dark hooded robes which were uncannily similar to that of the KKK, a racist organisation. That lost me a bit. I was just hoping for a full case orientated episode set in the Victorian era so we could see how our new Sherlock would have to adapt to the lack of technology. Well, the hoods was just a bit of theatre, the whole thing was taking place in Sherlock’s head after all and so his own predilection for the theatrical coloured the details. The KKK is a reference to the original story this one was loosely based on. (The Five Orange Pips) And these kind of feminists were more or less terrorists, in my opinion, so it’s not entirely inaccurate. It’s not as good as the best that this version of Sherlock has to offer but still very good and enjoyable. Now for series four, whenever that happens. That was my thought as well. It’s about the only thing that makes sense. Happy to cut Mofftis a bit of slack given the interminable time between series but it was just wonderful to see how much they did manage to cram into the 90 minutes. It may have erred a tiny bit on the side of indulgent but any quibbles were quickly overcome by how deliriously well written and acted this was and how clever the central conceit. I also laughed out loud at the feminist angle – Moffat *really* likes to poke at social media and its absurd conversations, doesn’t he? Overall, an absolute treat for the festive season and a lovely bookend for Husbands of River Song – both excellent and true to their parent series in their own ways. Looking forward now to series 4 and continue to be amazed that Steven Moffat has overseen and written two of the most stunning and imaginative things on television in years – series 9 of Who (and specifically the extraordinary Heaven Sent) as well as New Year’s Sherlock. Lucky, lucky us that we have series 10 of Who and series 4 of Sherlock ahead …….at some time but I honestly don’t mind the wait if it allows Moffat to roam so wonderfully in his own mind palace and produce such uncompromising brilliance and genuine fun for all involved. Really enjoyed that. It was clever in a genuinely smart, but not smug way, and also lots of fun. My Conan Doyle Sherlock obsessive other half was roaring with excitement throughout with all of the easter eggs which a complete ACD nerd like Mark Gatiss snuck in – don’t mean as much to me so just enjoyed the brilliant dialogue and superlative acting from everyone involved. I do like it when television is not afraid to show its intelligence and wit and doesn’t need to pander to the X-Factor crowd. I see that it got brilliant ratings and reviews too, so good to see people are supportive of more inventive and sophisticated story telling. Same goes for Who this year. So for me, that’s three fantastic bits of tele this Christmas/New Year week: Abominable Bride; And Then There Were None and Husbands of River Song. With Sherlock #4 and Who #10 both being filmed, 2017 is shaping up to be a stunning year of television. To top it off, hope we also get Matt Smith’s big fancy new drama either this year or next as well as he has been off our screens for far, far too long. It’s a long wait for both Sherlock and Doctor Who but I am sure very worthwhile and should be some great things in 2016 to tide us over until then including all of the Big Finish’s glorious River Song/Eighth Doctor and War Doctor adventures! I’m not an “intent” fan, I just watch the episodes once, when they come out, and I had no difficulty at all following the story. But then I’m a simple soul, happy with a rollicking good story and not needing yards of “canon” and forum debates to enjoy it. Saw it at the cinema yesterday – not yet screened on free to air on Australian television so the only way to stay completely spoiler free was to pay for it. Cinema was full to brim full of very happy viewers and it got a big cheer and lots of applause at the end. It was showing at several cinemas around town as well at the same time (11.30 am on Saturday 2 January). Thought it was great and a terrific stand alone episode, although enriched by the reference back to the finale of last series. Don’t understand how anyone but the most pedantic nit picking person wouldn’t have enjoyed it. The big screen was a bonus as like a lot of last year’s Doctor Who, it was very cinematic. I hope that TPTB take a big hint at the success of these screenings to let us in Australia have more of these, especially for Doctor Who. If they had screened Husbands of River Song, they would have made an absolute fortune given that the only other things on at the moment are Star Wars (which most people have already seen) and a bunch of school holiday kids stuff. I am hopeful that the great reaction to previous screenings of Sherlock and Who here might mean we get the premiere of series 10 of Who and all of the Sherlock episodes, particularly if it is not going to be seen here on free to air television. Believe me, the BBC would make a mint given the huge popularity of both shows here. Got to say this ranks with The Sign of Three and The Empty Hearse. This is not a good thing, both suffered from overplayed overindulgent comedy elements that jarred on the nerves and made me cringe. I may look more favourably on the Abominable Bride when I eventually re watch it, but it’s not going to raise it much in the ranks of how much I liked it. But it might just irritate me less the second time around. Some beautifully shot and acted moments in this and loved the whole concept. Benedict, Martin and all of the cast were brilliant. Visually it was stunning, I just wish I could say the same about the execution of the plot. There were just elements they overplayed that left me wincing and wishing I could fast forward through them. Just like in the first two episodes of season three. The whole sign language bit which went on to long, and it was just that touch too silly to begin with, the overly fat Mycroft, which could have been wickedly amusing but again it was overplayed. So much so that I was waiting for one of the Monty Python team to walk in and offer him a wafer thin mint. And they are just two of the bits that bugged me most. I would have preferred they had played this a bit straighter and the reveal would have been far more satisfying to watch. They can do subtle comedy, and there are some lovely touches in this script, but then they shove in a scene that just lands like a lead balloon and sets the teeth on edge and ruins the mood. One thing surprised me though, as someone who isn’t Moriarty’s biggest fan I thought the bits with Andrew and Benedict were wonderful, just the right touch of serious and insane to make the audience wonder what the hell was going on. Excellently written and acted. If they could just leave out the overly comic elements or play them down a bit because they are really starting to ruin my enjoyment of the show. In season three I can only relax and enjoy His Last Vow. With the other two I end up fast forwarding through bits. There is a reason that out of the three episodes His Last Vow was tthe one that won the awards. This could have been an amazingly exicuted concept, with the little clues they left for the viewers leading to the reveal making everyone go OMG but they just tipped it over into bad comedy in places that by the time the reveal came it wasn’t much of a surprise more of a relief. After season three I admit I worried about the direction of season four, if there would be more cringe making overplayed moments, well this episode rather than making me hopeful for season four, makes me wonder what happened to the show I fell in love with and wonder if I want to tune in for season four at all. Just rewatched and love it even more.There are few things more enjoyable than Stephen Moffat turning his back on dull narrative television and going full improv/jazz. I love that Moffat just doesn’t give a rats’ anymore and makes the program exactly the way he wants. No prisoners drama. If you go along with it, there are few things more wonderful, if you aren’t willing to think outside the box, then it’s simply not for you. Few others could have pulled this off and made it work so well, but with such a talented group of actors (honestly, has there ever been a better coterie of actors in one television show? ), thrilling and ingenious writing and wonderful cinematography, this is completely successful. Same with Doctor Who last year – just needs the highest level of acting and writing talent which both shows now have to make it happen. Television at its most mind bending and in both Sherlock and Who, also at its very best. Something tells me series 10 of Doctor Who and series 4 of Sherlock are going to be AMAZING. I personally thought it was great – very knowing and very funny but I can see that it might have been a bit too complex for some or others didn’t see the joke or didn’t want to go along for the ride. Sherlock has become very much a ‘take it or leave it’ sort of show and one the very few which can operate this way due to its huge pop-cultural significance. 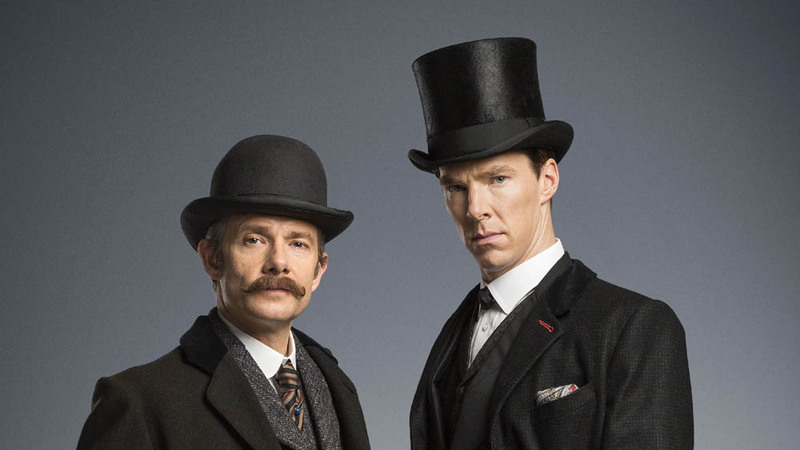 Sherlock itself has sort of moved now outside the realm of ordinary television criticism. It seems to be able to set its own rules about what it is and the viewers have to keep up with it and simply accept it on that basis. Certainly the cast and crew seem to have a great time making it and the amount of publicity it generates is amazing. I think it was a world wide trending topic on Twitter on broadcast. It also remains beloved and admired by critics here and particularly in the US. I fully expect Steven Moffat (and Mark Gatiss) to be Emmy nominated again for their writing of this episode and I would guess that Benedict Cumberbatch and Martin Freeman also stand a great chance of further Emmy and BAFTA nominations off the back of this episode.